The ultra-­compact 3-­eye Bi-­Beam LED headlamps combine a beautiful distinctive design with exceptional light distribution. 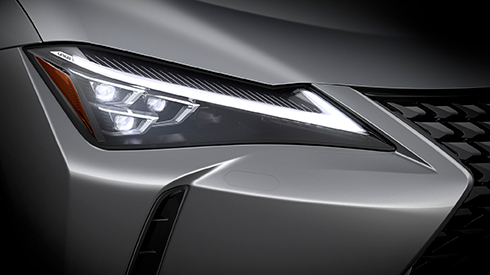 The Lexus signature L‐shaped DRL (Daytime Running Lamps) set above the headlamps feature distinctive vertical illumination lines that enhance the feeling of depth. 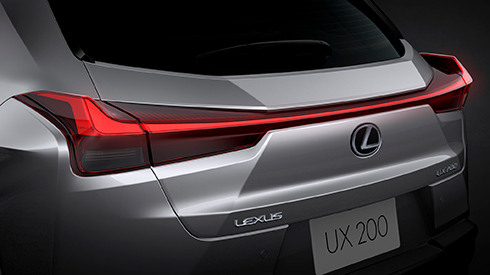 The bold design of the rear combination lamps reinforces the UX’s unique identity. The left and right lamps are connected by the aero stabilizing blade lights to form a single line of light across the rear, illuminated by 132 LEDs. This form is complemented by the advanced aerodynamics of the L-­shaped race car-­inspired fins, which contribute to excellent rear stability while cornering and in side winds. A key focus of the human-­centered design was forward visibility, with the aim of providing a commanding view and peace of mind. Special attention was given to the design of the front pillars and door mirror area, creating a space between the pillar and mirror to enhance the visibility of pedestrians and bicycles at intersections. 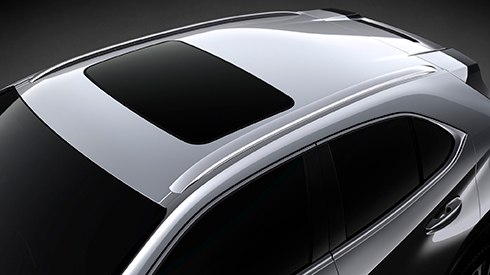 The forward placement of the moonroof lets in an abundance of light, enhancing the open and airy feeling in the cabin. Its structure and shape were refined to help reduce wind noise when it is open. 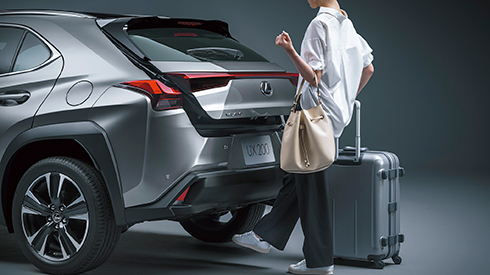 Even if both hands are full, when carrying the Electronic Key you can open and close the back door automatically by moving your foot under the rear bumper and out again. 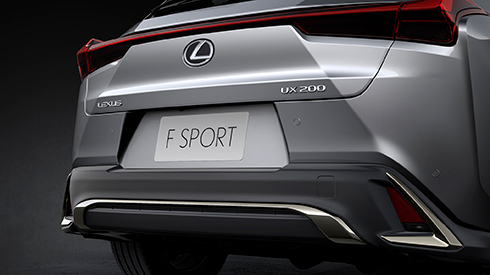 Combining high rigidity with excellent recyclability, the rear bumper accentuates the dynamic SUV presence of the rear design, endowing it with a strong sense of stability. Back-­up lamps are integrated into the lower section. 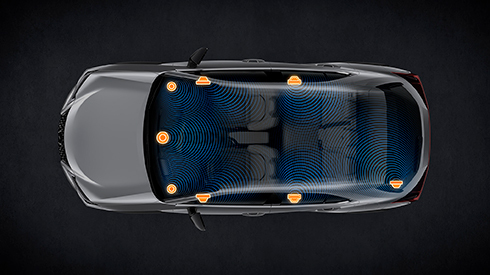 Realizing the ‘Seat in Control’ concept of the human centered interior, the displays are designed to provide the driver with an intuitive interface that provides clear information without changing posture or line of sight. The 10.3‐inch EMV (Electro Multi-­Vision) displays incoming hands-­free mobile calls, audio system and other information, and coordinates the display of select information with the multi-­information display integrated into the 7inch color TFT (Thin Film Transistor) Optitron meter, and the large color head-­up display positioned in the driver’s line of sight. 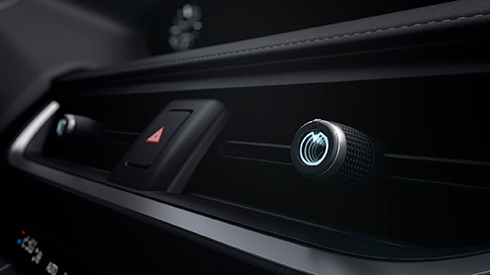 The drive mode select switch is conveniently located on the meter hood bezel. 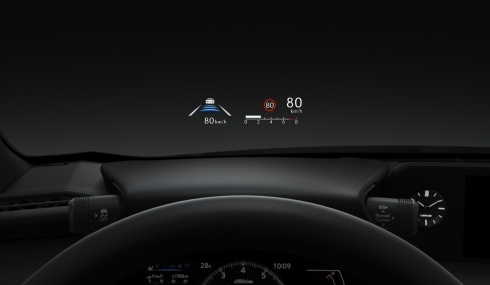 The wide, color head-­up display projects a range of frequently checked information on the lower windshield glass in the driver’s line of sight, including the current speed, tachometer, audio system, and more. The interface is designed for smartphone-­style operation. The cursor can be adjusted to stop following flick operation to suit the user’s preferences. Pinch-­in and pinch-­out operation enables continuous in and out zooming. An imaginative approach to technology drove the development of a single easy&dash;to&dash;­use air conditioning vent knob that controls both air direction and volume. The integration of wireless LED lighting into the knob makes it easy to use at night, and projects a futuristic sophistication with its sense of depth. 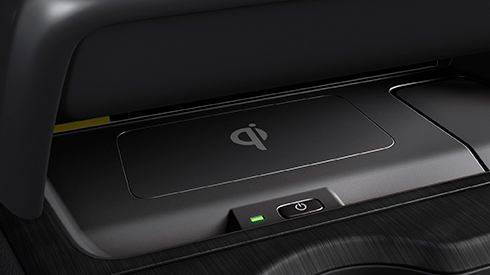 This thoughtful charging tray in the center console enables wireless charging of batteries in Qi-­compatible smartphones and electronic devices simply by placing them on the charger tray. The lid on the large capacity console box opens to both the left and right, for easy access by the driver and front seat passenger. 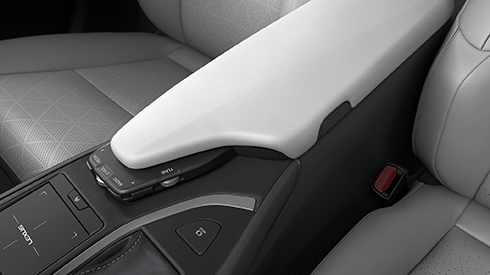 The length of the armrest was optimized to provide comfort and support, with controls for the frequently-­used audio system functions integrated into the front palm rest. Two USB ports and a mini-­jack integrated inside the center console box support the plug-­and-­play use of music players, and enable the connection and charging of various devices and portable gear. 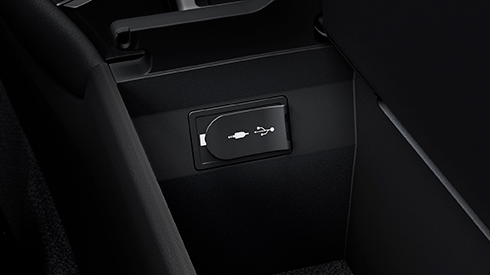 Additional power outlets are located in the front tray and the side of the luggage space, and two USB ports in the rear of the center console. Developed specifically for the UX to deliver audio purity, power and precision, the 13-­speaker system includes 5 Unity speakers with identical performance arranged along the shoulder line. 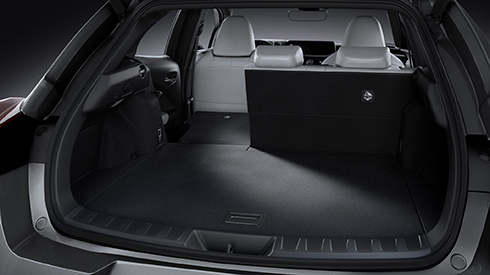 The ample power of the 8-­channel amplifier delivers pure, clean audio signals to the speakers. QLS (Quantum Logic Surround) and Clari­Fi optimize acoustic tuning in the cabin to faithfully reproduce the original sound sources. 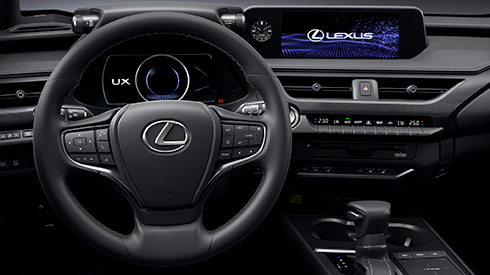 The Lexus Climate Concierge realizes a human-­centered approach to personalized comfort. 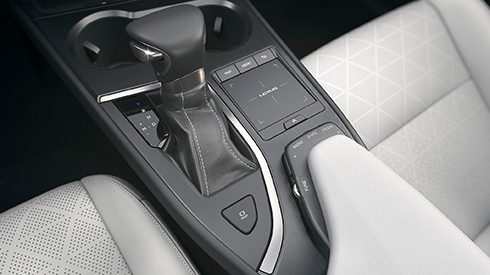 It automatically controls the cabin temperature, including individual temperature controls and the ventilated Seats for the front seats to optimize the comfort of each occupant. 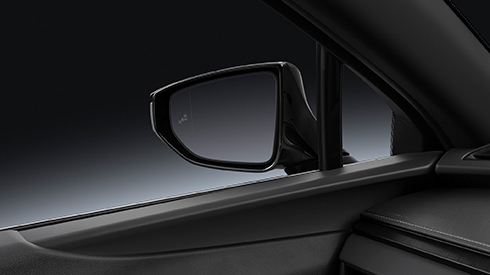 It also provides one-­touch control of all heating systems in the cabin. Supporting an active lifestyle, the ample luggage space highlights the practical convenience of the packaging and thoughtful design. 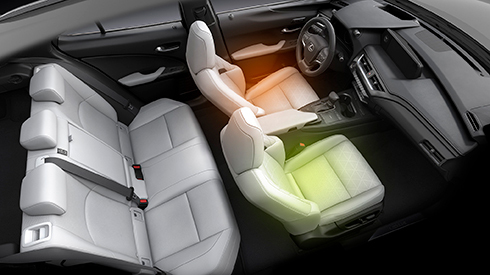 For longer items and larger loads, the 60/40 split rear seatbacks fold down to create various passenger and luggage configurations.